Unloading and Loading systems, with cam mechanism, that ensure repeatability, precision and speed. 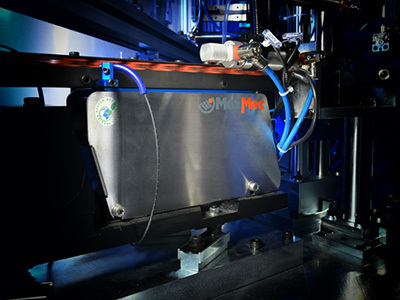 Unloading and Loading systems with cam mechanism and MoxMec® Technology. 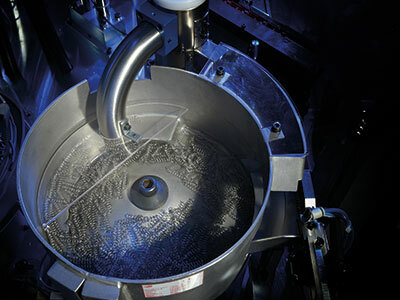 They ensure repeatability, precision and speed. 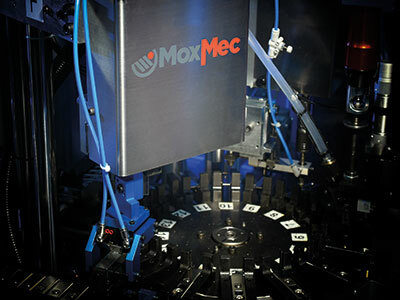 The programmable vertical stroke ensures the high flexibility of use. The picking operation of the pieces from the feeding groups and their placing on the pieces holder, takes place with controlled and repeatable deceleration ramps that ensure excellent performances and high reliability. 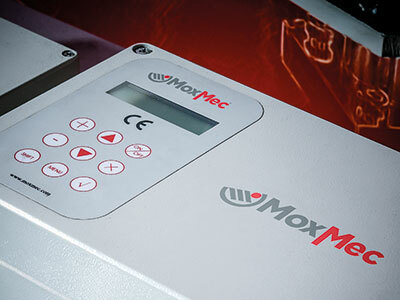 With the same performance level, the energy consumption is 1/10 (90% less) than that of the usual pneumatic system. Furthermore, it does not pollute the air and it is noiseless. This cam driven arms have fixed x quote instead the z quote is programmable through an interface, a keyboard, that can be used by the operator avoiding the action of the Electronic programmer with high saving of resources and time. Also Designers and Manufactures are more and more oriented towards this solution: the electromechanical Arms are designed and developed in order to considerably reduce the design and installation times on the machine. 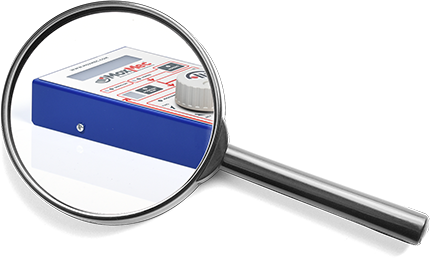 The picking operation point can have a different quote from the placing operation point, therefore the set-up is facilitated and speeded because it is no necessary to perfectly align everything in order to make the system work. 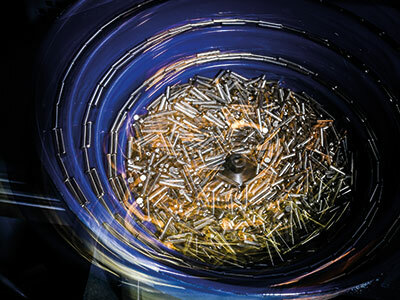 They ensure high precision (up to ± 0,05 mm). 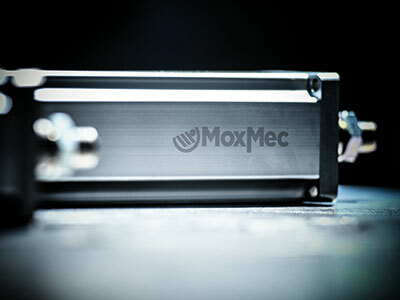 MoxMec® arms can reach 10.000 cycles/hour. They do not suffer interferences from the outside and ensure the same repeatability after 10 years of functioning. Thanks to the cam shape that prevents “shakes” and vibrations and it “absorbs” the inertia through a rigid mechanism. The system can be stopped in any position and, thanks to the 2 cams motion, is possible to create any motion. The Module is studied in order to be modified and reused by the customer also during after-sales and after-use. 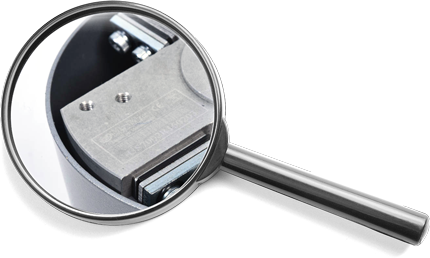 The cams are externally placed in order to be easily replaced if the customer needs to modify the track or the quotes to adapt them to new production requirements.